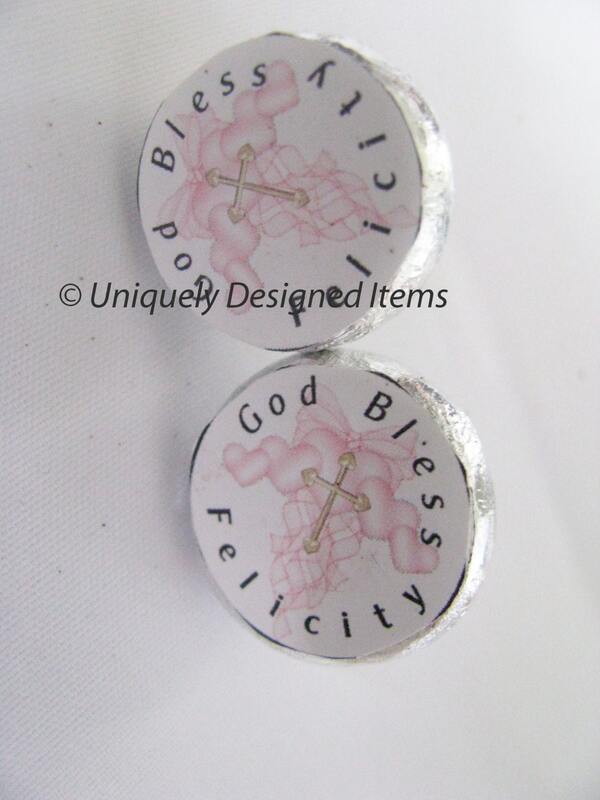 Baby Christening or Baptisms and Dedications are always a special and wonderful day for family and friends. 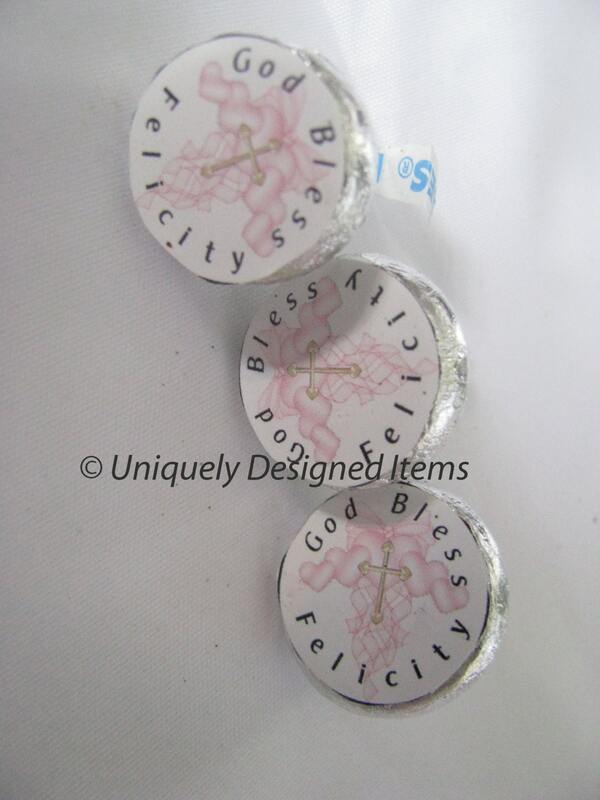 Personalized Hershey kisses for your Baptism, Dedication or Christening. We know many have a celebration after the church event. We have many designs. 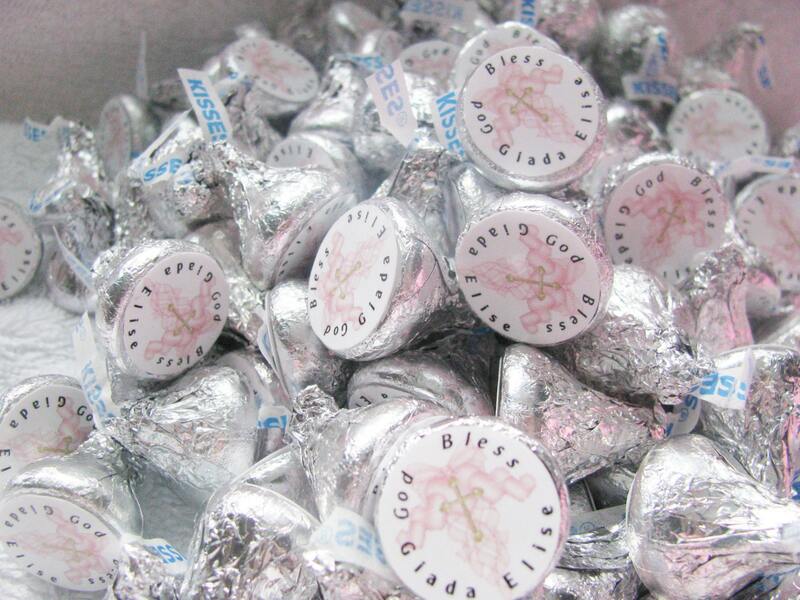 So your Hershey kisses (or minis or full sized bars) can be custom made. We hope you'll let us be a part of this special day for your family! 150 Hershey kisses are listed. Please contact me if you want more. Each Hershey kiss is 20 cents. If you have any trouble with shipping, please contact me and I will set up a custom listing.